Pentagon reveals Charaffe al Mouadan, who had 'direct' links with head of lethal Paris attacks, was killed in airstrike. An Islamic State (ISIS) leader with "direct" links to Abdelhamid Abaaoud, ringleader of the lethal Paris attacks, was among 10 senior figures in the group killed in Syria and Iraq this month, the Pentagon said Tuesday. Mouadan had been actively plotting further attacks against the West, Warren said, without giving additional details. "He was a Syrian-based ISIL (ISIS) member with a direct link to Abdelhamid Abaaoud, the Paris attacks cell leader," Warren said in a video call. Mouadan, 26, was the son of Morocco-born parents and the last of eight children. He grew up in the suburbs of Paris, and was arrested in October 2012 while getting ready to leave with two neighborhood friends for either Yemen or Afghanistan, via Somalia, a source close to the investigation told AFP. Warren declined to say if France had been involved in the strike against Mouadan. Among the other leaders killed in December was a Syria-based Bangladeshi man who was educated in Britain and was allegedly an ISIS hacker. "Now that he's dead, ISIL has lost a key link between their networks," Warren said. Warren described another man as a forgery specialist with "links to the Paris attack network," but he declined to offer additional details. The Paris attack mastermind Abaaoud died on November 18 in a shootout with police in St. Denis north of Paris at an apartment where he had been staying. He had planned attacks on Jewish targets in France as well. 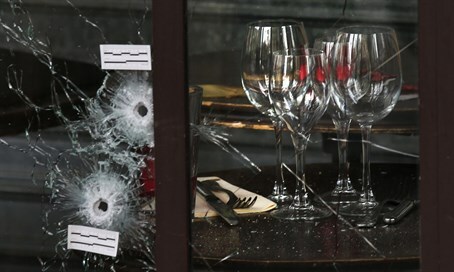 In the November 13 Paris attacks claimed by ISIS, six coordinated attack fronts saw a total of 130 people murdered.